You may think that putting your details on the Municipal Register (padrón municipal) is just to be able to vote in local elections. But did you know there are lots of ways registering can help you save money? 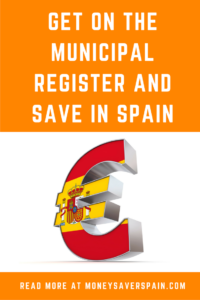 All towns and villages in Spain receive funding based on the number of people registered. A lower registered population means less funding and fewer public amenities. However there’s a village in Spain with only 200 inhabitants and over 60,000 cars registered. Because for rental companies it’s the cheapest place to pay the annual municipal car tax! We’re not suggesting you do this to pay less tax on your own car (it wouldn’t be legal), but let’s take a look at some of the ways being on the Municipal Padrón can help you save. Some water companies in Spain offer a discount on your bill if the water consumption is reasonable based on the number of people in the home. Water bills are split into fixed and variable costs. The latter is billed in stages from I to IV, which are progressively more expensive. A bigger family will often pay a large part of the bill at the higher priced stage III or IV consumption level, although this may be perfectly reasonable taking into account the number of people in the home. To see if you can take advantage of this, get our your latest bill and take a look. If there’s the possibility for a discount, send your water company a copy of the padrón certificate for all household members. Spain’s healthcare is ranked amongst the best in Europe. If you’re elegible to receive assistance at public clinics and hospitals in Spain, you’ll need to be on the Padrón to get your Health Card. You’ll save on expensive private insurance (which often has limited cover). Why pay for a private gym if your town has decent municipal installations? For a fraction of the cost many towns offer a wide variety of sporting activities. The same goes for classes for children and adults: get them at a discounted rate or free. Some towns have a better range of activities than others and places are allocated on either a first come, first served system or points. The new Housing Plan 2018-2021 offers grants for home improvements, full details in our post here. To be eligible you have to have been on the Padrón for over a year before requesting the grant. Grants for new cars, for energy efficient home appliances, air con units, changing windows, new boilers and more are available from time to time. All these grants are non means-tested but they’re only available for people who are on the municipal register. In Madrid new grants are available in 2018 for energy efficient home appliances, with up to 150€ available for fridges, 110€ for dishwashers and 70€ for washing machines. 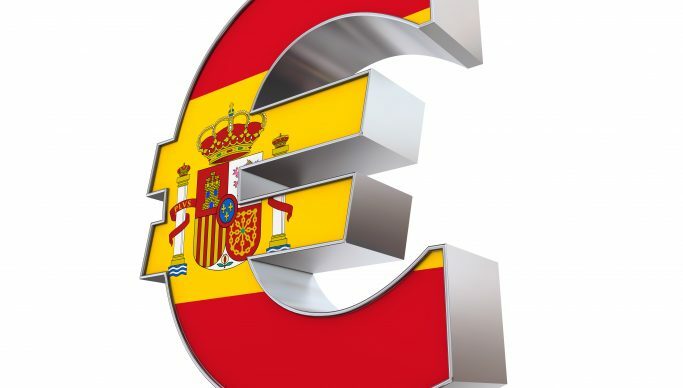 As Spain’s economy picks up, we can expect the availability of national and regional grants to increase. This one is a bit tricky and depends on whether you’re a taxpayer in Spain. A high earner can pay over 20,000€ more per year in tax if they live in Catalunya than in Madrid. If you have assets in Spain and are planning to leave inheritance to residents, check the local tax implications. Each region in Spain fixes the inheritance tax rate. An inheritance of 800,000€ would be subject to a payment of 134€ in the Canary Islands, 1,568€ in Madrid and up to 164,000€ in Andalucia (source: Cinco Dias, April 2016). If this could affect you, make sure you get expert advice. Watch out if you’re thinking of getting on the Padrón at your friend’s address at a different location. Some people do this in order to have access to better hospitals or for other perceived benefits. Cities and towns are cracking down on fraudulent registration. Penalties for public document fraud, including the Padrón register, come with a possible sentence of 6 months to 3 years in jail. And for those who say that these benefits aren’t for foreigners, that’s not the case. I received a Plan PIVE new car grant in 2013 and also a grant for an energy efficient fridge a few years earlier.